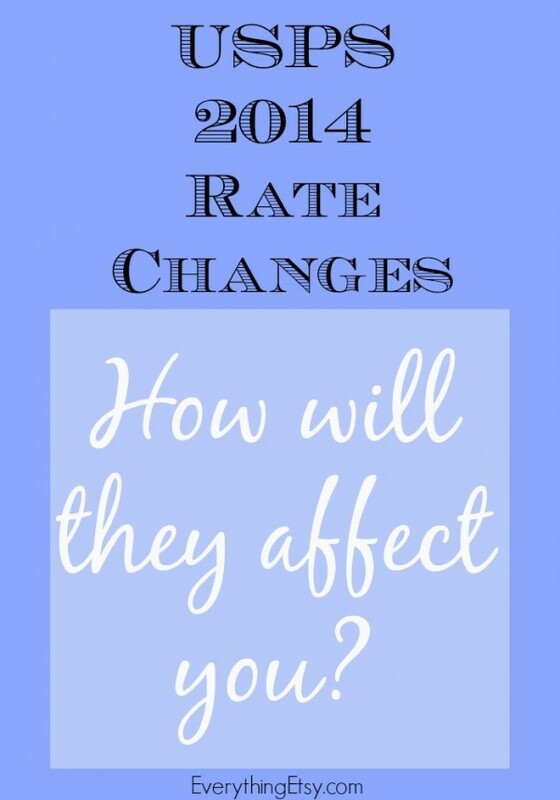 You are here: Home / Running Your Etsy Business / USPS 2014 Rate Changes — How will they affect you? USPS 2014 Rate Changes — How will they affect you? USPS new postage rates go into effect January 26, 2014. How will the new rates affect you? 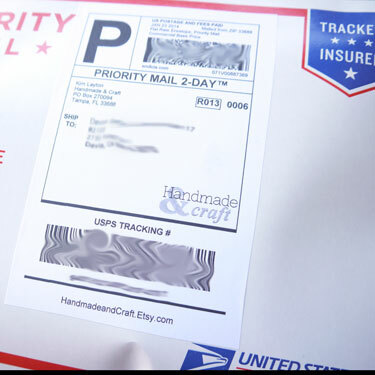 If you’ve heard the news of the imminent rate increases at the US Postal Service, you may be thinking “here we go again” and wondering just how high the cost of buying stamps and shipping your packages is going this time. I’ve spent some time trying to find the answer and what I’ve found is that it very much depends on which type of USPS shipping you use the most. For our Etsy shop, there really won’t be a change at all because 99% of our shipping is via Priority Mail Flat rate envelopes, which are holding steady. Postage rates for other classes such as First Class, Media Mail, and some international classes are all bumping up from 6% to 10%. First Class International package rates (the other class I use frequently) are also remaining unchanged. For me, it’s a good time to be a flat rate envelope junky. If you ship Priority Mail in standard packaging (vs. the Flat Rate Packages provided by the post office) the rates are actually going to decrease a little bit, but only if you’re paying too much already by buying your Priority Mail postage at the retail price (what you pay if you walk-up to the counter at the Post Office). You can save considerably by taking advantage of the Commercial Base pricing offered through Etsy and printable postage providers, such as Endicia. Endicia is sponsoring a number of helpful business tips on EverythingEtsy.com and Etsypreneur.com this year, so we’ll be bringing you some more tips and how-to’s of using Endicia over the next few months. Hopefully, even if your shipping costs are increasing with this round of rate hikes, we can help you save some time and improve your marketing to offset the expense. So I’m happy to see that this rate increase won’t impact our expenses very much, but I’m curious… is the same true for you? If your rates are going up, will you pass it along in your shipping fees, or will you absorb the cost yourself?